Packed with action, intrigue, trickery, and love, A CHILD'S INTRODUCTION TO NORSE MYTHOLOGY acquaints kids with the original North Germanic and Scandinavian folklore behind characters like Thor and Loki, plus other gods, goddesses, giants, dwarves, and more. The newest book in the best-selling, award-winning A Child's Introduction series explores the popular and captivating world of Norse mythology. Organized into two parts, part one introduces characters like Odin, the leader of the Norse gods; Thor and his mighty hammer Mjollner; Frigg, weaver of the destinies of humans and gods; frost and fire giants; cunning dwarves like Brokk and Eitri; and many more. Part two tells the stories of the suspenseful myths themselves including The Creation of the Cosmos, The Aesir-Vanir War, Loki Bound, Thor's Hammer and many more. 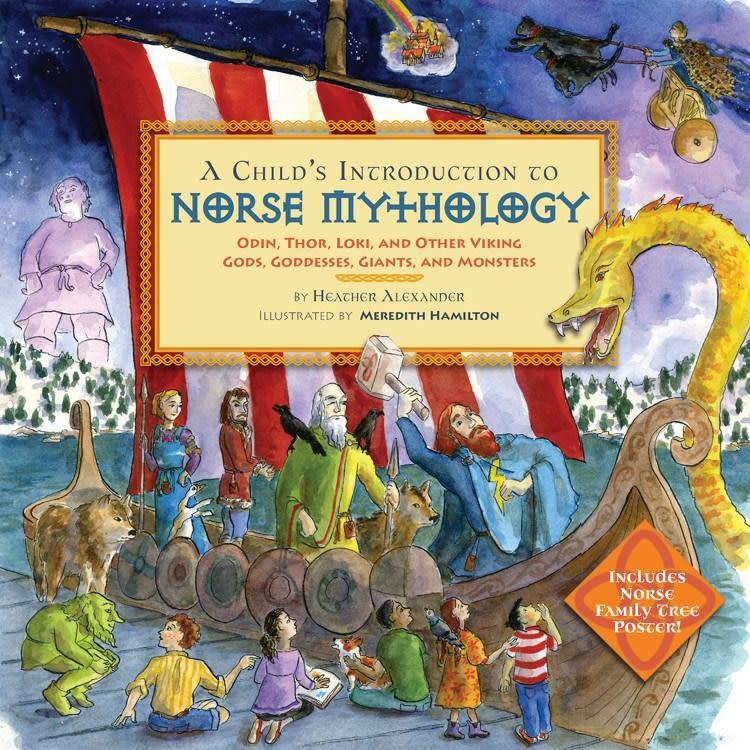 Full of charming and witty illustrations from Meredith Hamilton, a Norse name pronunciation guide, and a removable Norse Family Tree, A CHILD'S INTRODUCTION TO NORSE MYTHOLOGY is the perfect way for kids to learn the historic stories behind today's popular mythical characters.